The guy at the front desk went above and beyond to make sure I was making an informed buying decision before signing the lease agreement. 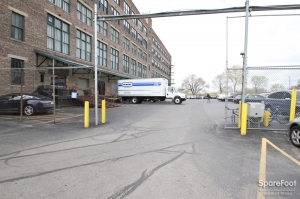 He walked me to view the space, explained additional costs, and was extremely nice overall. We were looking for a place to store some items temporarily for the summer. This place is clean, climate controlled, safe, and very inexpensive. Gorgeous facility and great security. The only thing I didn't like about East Bank Storage are their operating hours (I would of liked 24 hour access or even later hours - they close at 6 pm Mon- Sat and 12 pm on Sun). I give it a five star it was very clean and they also have an a venue. The best way to keep your stuff safe !! Overall I was pleased with the experience. The lady that checked me in wasn't the most friendly but the maintenance man who showed me my unit and helped me with my cart was very friendly and helpful. The storage unit is under a pipe that leaked so there was dirty plastic on top to stop the water from getting into the unit. The maintenance man told me to let the front desk lady know to put in a ticket to have it cleaned and have more plastic added, which I did on my way out. Needed more space they were able to do it in minutes near my original reservations.perfectly done.staff were outstanding.thanks very much. Found that i needed more space, they willing found bigger space near my first unit.Very happy with both spaces, can find all items I might need without. moving around alot of boxes. The lady there was extremely nice and handled my frustration with the third party very professionally. She was more than helpful! The price was good and it was just what we needed. Friendly customer service, clean, secure facilities, the only con is that the rooms are only accessible during office hours. Pluses: safe and well-lit. Limitations: there are limited hours. A lot of storage places appear very sketchy from the outside. Not east bank. It had both a clean and welcoming exterior and interior. 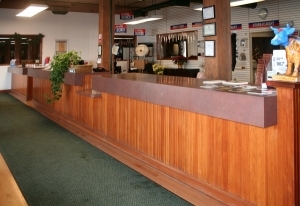 The staff was efficient and very helpful. They provided me with everything I needed, especially a lock and several carts. 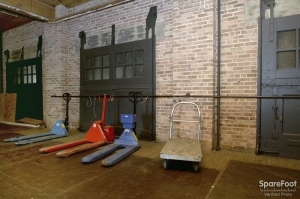 The unit itself was tucked behind an art gallery in the building. My unit was clean and climate controlled. They have extensive survaillance around the facility so I feel really good about leaving. My thing here for a few months. Alan got us checked in quickly and provided some tips on the facility. It had limited hours and you need to stop in the office before you visit your unit, which is good from a security perspective. Facility is dry and clean. It is a big place and almost like a maze. Bring crumbs the first time. Very helpful and accomodating. Will definitely recommend and keep using. The Staff was warm and Friendly. The Atmosphere was nice. And the facility was very clean and secure. 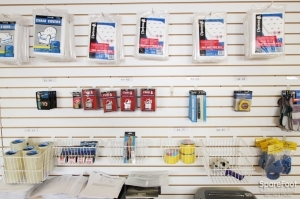 This is a great place to secure and store your stuff. 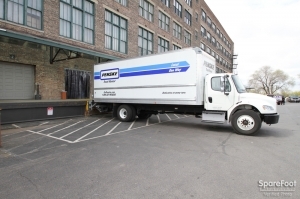 Because of its excellent location and the amount of other businesses in neighborhood, I am always able to accomplish a lot more than just accessing my storage unit. 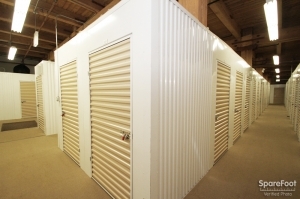 This makes me more productive and the idea of visiting a storage unit less of a hassle. Also from comparing prices of other places, I know their pricing is competitive. I had to load and unload several really large pieces of furniture there. The lobby / dock area is huge with plenty of room to operate and not have everyone get in the way. 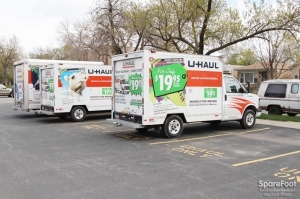 Itâs easy to load and unload from a car or truck and there is plenty of free parking. There are dozens of carts right outside the office door. I never have to wander the halls looking for a cart. Also, the freight elevators are larger than any elevator Iâve seen at other storage facilities. 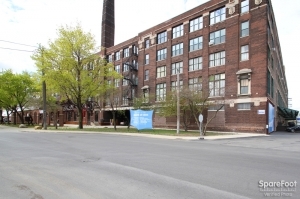 The âold factoryâ someone mentioned is actually a totally updated and well maintained historic building. It is lively place and you can feel the energy when you walk in. The folks here know what they are doing. Alan in the office is particularly well spoken, informative and very professional. They obviously put their customers first. I also know my property is secure and their hours of operation work with my schedule. They have an easy website to navigate, all the info is there and if I still have questions, I know I can just call. I will continue to highly recommend this place. This place is very fair with their prices. I needed a storage unit last minute and I was expecting to pay an arm and a leg. It was mid-month when i needed it and I figured i would be paying for that full month. However, they (justly) pro-rated the rest of the month. The units are clean, although a little difficult to find. The office people are nice and friendly. One showed me where my units was and was very thorough in explaining all that I needed to know. I do have complaints, though. The elevator was out and my unit was on the third flood...luckily I was able to use the freight elevator though! The hours also make the place a little less easy to access though. I work from 8-6 and have no lee-way for trying to make it here. I am forced to ask others to move my belongings for me when needed. Overall, though, I think it is a worthy place to store your belongings. 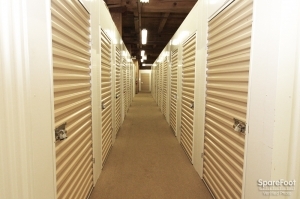 First of all it is not a storage facility in the sense one expects, a free standing independent facility. 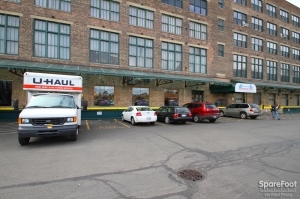 It is a tenant in an old factory warehouse that provides storage rental. This causes several issues. You cannot access your unit if one of the art galleries that lease space in the building is having a showing or whatever they're called. 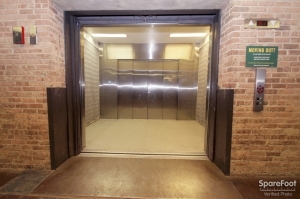 There is only one elevator that is used by every other tenant and waits can be unacceptably long and that is if it is working in the first place. The hours are awful, 8am-6pm M-F, 8-3 Sat & Sun, so if you need something early you better plan ahead because it is not accessible before opening or after closing (unless you're willing to pony up a hefty fee!!) Do not be surprised if you arrive during normal business hours and they're closed either, they invent holidays and only post a note on the door! As a tenant you should have a reasonable expectation of access, you won't here and it cost me dearly! Not only a fee to rent equipment I needed, but I left town and was charged 80 bucks in fees for late charges...because they left early. 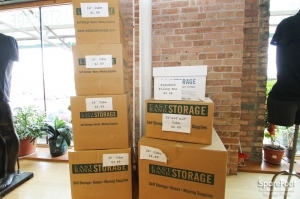 Do yourself a favor, go to a real storage facility. Clean facility. Good price. Great customer service. Highly recommended.